Local photos appearing in the Feb. 8-13 editions of The Goshen News. 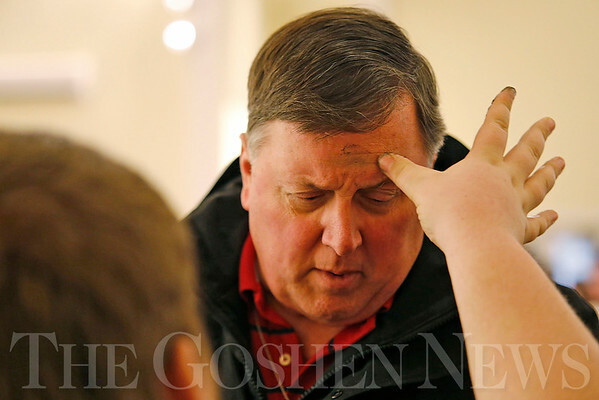 Steve Schneider receives ashes on his forehead during the evening Ash Wednesday service. Catholics have palm ashes spread on their foreheads to signify the beginning of Lent, the 40-days before Easter.